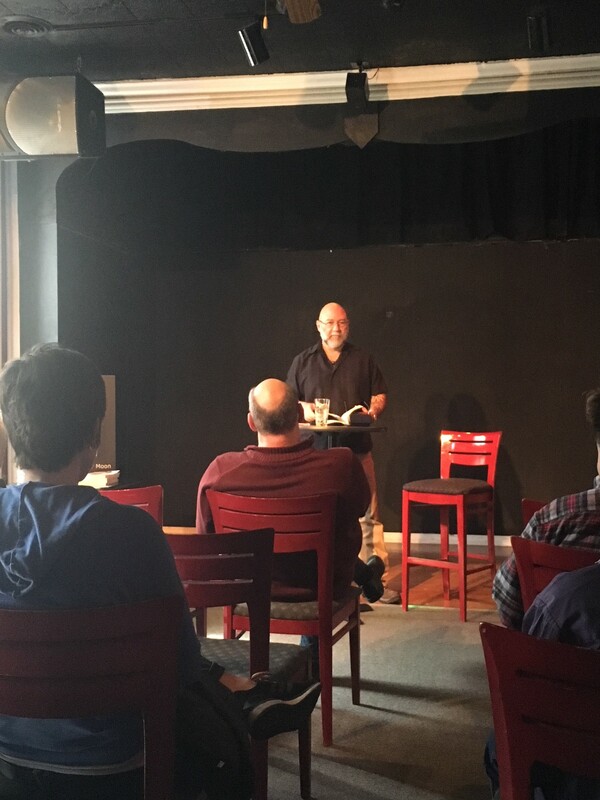 This past weekend, Jeff traveled to Columbus, OH to do a reading from his new novel, Insatiable, at Club Diversity, thanks to an invitation by the handsome Craig Wheeler (a man who pours a great drink). Jeff, accompanied by his husbear John and friend Ilene Over, visited the club the day before to check out the venue. After enjoying a couple of cocktails (and more than one bowl of popcorn) with friends who joined them, the group left to get dinner at Katsinger’s Little Deli. Much good food and drink were shared, stories were told, and merriment was had that evening. Jeff and clan enjoyed yet another queer convocation, one taking place in Columbus, OH, rather than the usual setting in Hinton, WV. On the day of the reading, Jeff arrived at Club Diversity after a luscious brunch prepared by friends. The atmosphere in the club was as quiet and relaxed as one might expect the day after St. Patrick’s Day. The setting for the reading was a small theater above the club. Lighting was great and the acoustics were perfect. Overall the reading was a resounding success. Jeff signed books and a good time was had by everyone. A special thank you to Craig Wheeler and Club Diversity for the invitation to read. 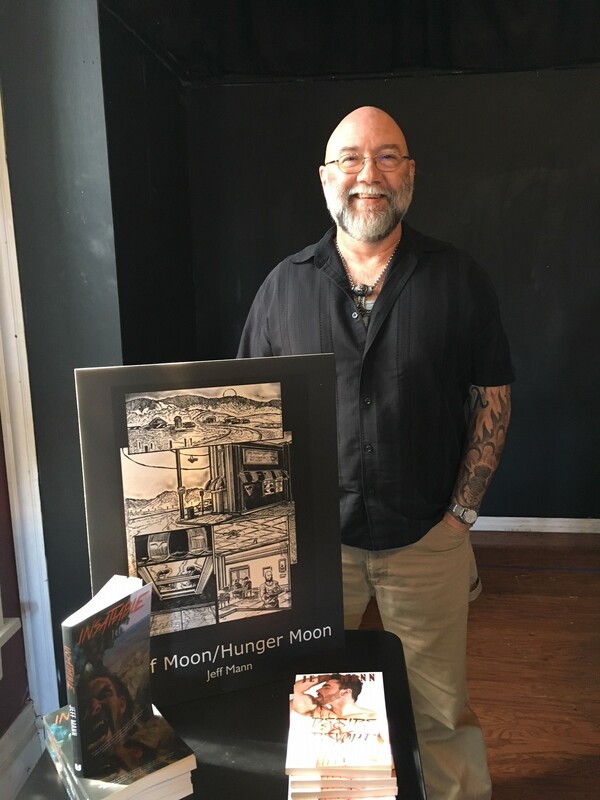 Remember, if you’d like to invite Jeff to do a reading, you can email him using the “Contact Me” section on the right side of his website.